The Temple bar hotel is one of the prime Dublin city hotels. Situated right at the heart of Dublin, the hotel boasts of 129 bedrooms. Another jewel in the crown of Irish hospitality, the Temple Bar is one place not to be missed. 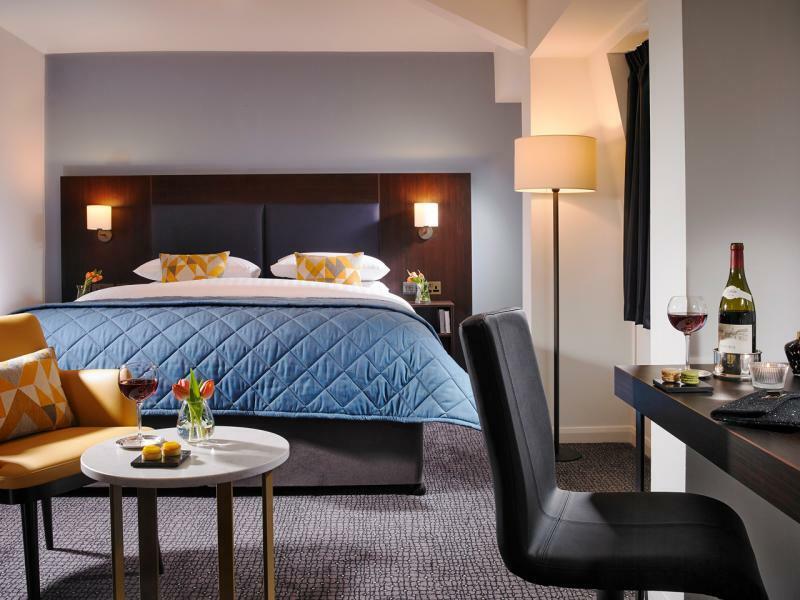 The Temple Bar Hotel is located right in the heart of the city centre in Temple Bar, Dublin's entertainment, shopping and cultural quarter and provides comfortable city centre accommodation. It is Ideally located to visit many of Dublin's tourist attraction, including The Wax Museum Plus, Chester Beatty Library, Christ Church Cathedral, St Patricks Cathedral and many more places. The hotel boasts 130 guest rooms which are traditionally furnished and feature private bathroom, satellite TV, phone, hairdryer and tea and coffee facilities. * Use of a local gym & beauty treatment rooms. FREE WiFi Access is available throughout the Hotel and Busker Bar for Hotel Guests. 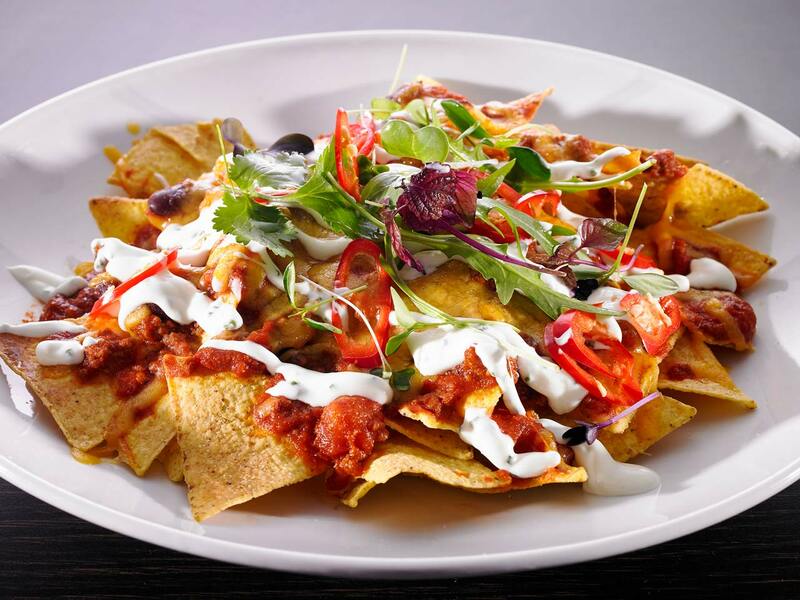 The Temple Bar Hotel Dublin offers guests a wide choice of dining options, serving a range of contemporary Irish cuisine in restaurant and Bars. All dishes are made using the best of local and seasonal ingredients. The friendly and attentive staff will ensure a perfect dining experience. Buskers Bar is the lively and vibrant bar whether you want to enjoy a quick coffee or a tasty bar food. 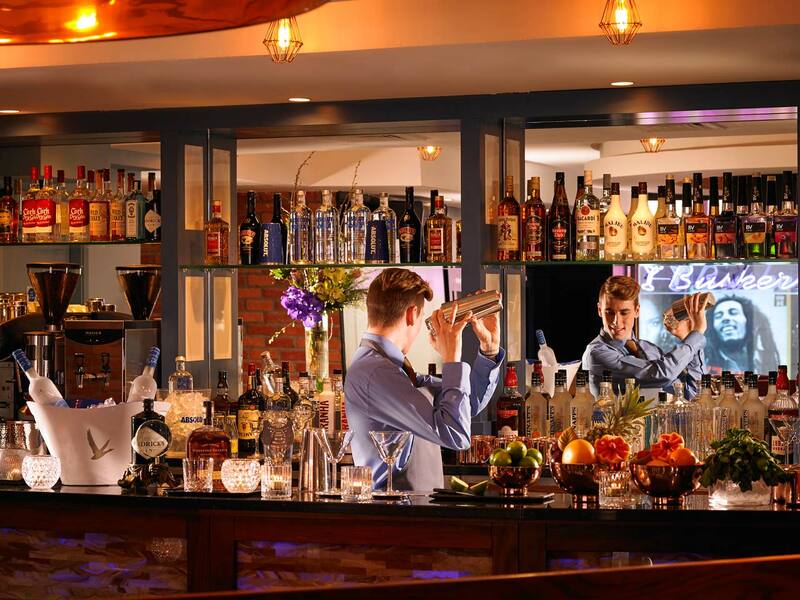 Buskers Bar is a lively contemporary designed music bar where you enjoy live music 7 nights a week. One of the best entertainment places to enjoy in Dublin's Temple Bar is adjacent for Temple Bar Hotel, the Alchemy nightclub. The Alchemy nightclub is a luxury club & venue, nestled in the heart of Dublin's cultural quarter. True to its name Alchemy really is a touch of Gold in the heart of Temple Bar. 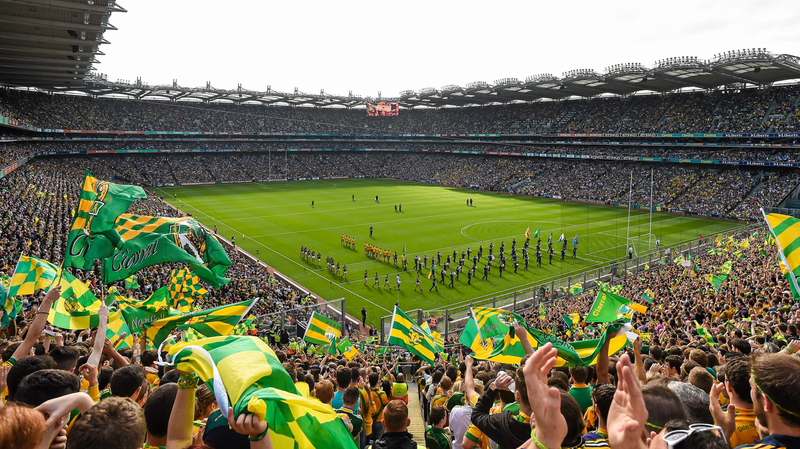 The hotel is ideally located in close proximity with Dublin's major sport venues such as Aviva Stadium and Croke Park, also you can enjoy your meal at Busker Bar and watch all sports actions live as they are televised.